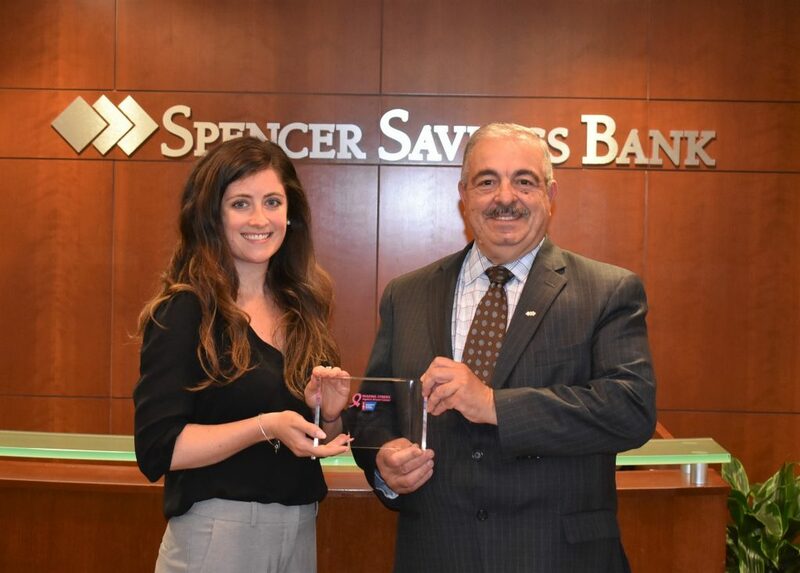 Spencer Savings Bank was recently honored by the American Cancer Society for its support of the Making Strides Against Breast Cancer program. The bank was a recent sponsor and received an award for its support. The Making Strides Against Breast Cancer walks raise awareness and funds to save lives from breast cancer. The events raise money to fund innovative research, provide free information and support, and help people reduce their breast cancer risk or finding it early when it’s most treatable. This is the largest network of breast cancer awareness events in the nation. This year, it is projected, more than 1.4 million people will participate in an event and more than $60 million will be raised for the cause.